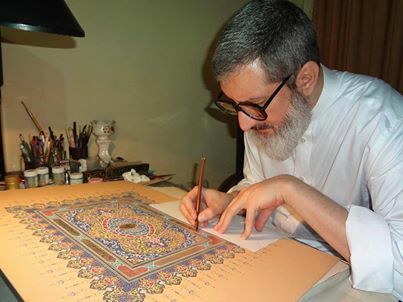 Ayatollah Abdul Hamid Masumi Tehrani, by submitting a work of art along with a letter to the Universal House of Justice (Baha’i World Center), called for the coexistence of all religions in Iran. 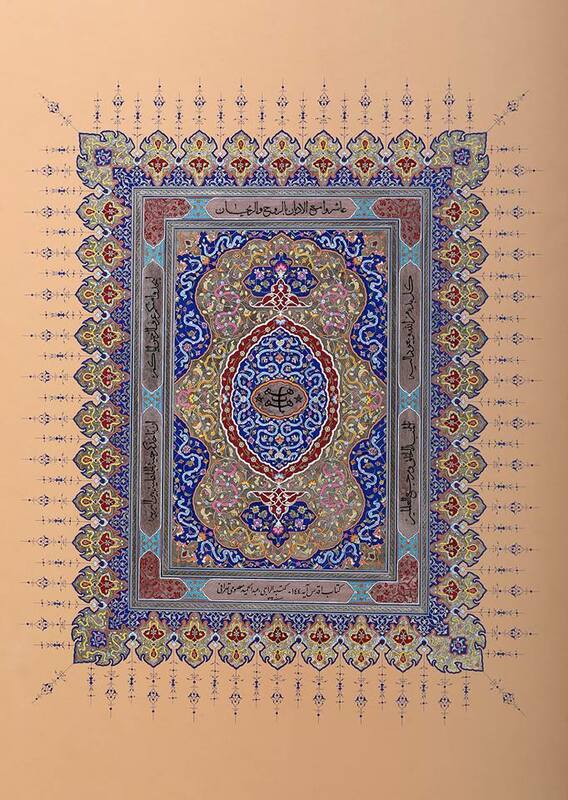 In this work of art, he used calligraphy and illumination techniques illustrating a verse from the Kitab’i-Aqdas. 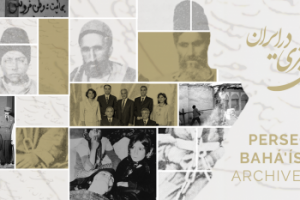 The following is the monthly discussion of Khate Solh with Ayatollah Abdul Hamid Masumi Tehrani regarding this work of art and his views on religious minorities in general and the Baha’is in particular. Mr. Tehrani, thank you for your kind gesture, please tell us what was your purpose for doing this? Thank you. This was a symbolic act and a Nawruz gift presented on the eve of 2014. As I mentioned before, my aim was to demonstrate my sympathy, friendship, kindness, and abandonment of hostility through my art. Besides, as I wrote in that letter, I sympathize with all my fellow Baha’is who have been suffering from various forms of religious persecutions. How did you come up with such an unprecedented idea considering that you used illumination in your work, which is essentially an Islamic art? This was not a new idea for me. I had already used the Torah and Book of Psalms in my artwork, which I had gifted to the victims and survivors of September 11th in America. 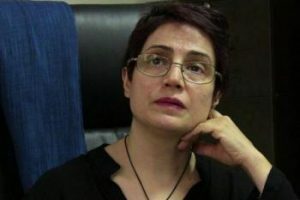 That artwork is now on display at the Library of Congress in an exhibition entitled, “A Thousand Years of the Persian Book.” The goal was to say to the people of the world that all Muslims are not such people who carry out suicide bombings. In my opinion, there is another side to Islam, or at least there can be. For example, Mr. Nourizad is also an advocate of such issues. Therefore, my initiative was not without precedent. Of course, I should have written the entire book like I did in my previous works but since I don’t have the energy I once had, I had to be satisfied with writing a single verse, although I’m not happy about it. Given the fact that Baha’is are not among the Abrahamic religions, we witness that many clergymen and clerics, usually call the followers of this religion infidels or unclean. They tell their own followers to avoid socializing with them. Given this, we hardly see a Shi’a cleric who would sympathize with them or even take initiative to support them, and, therefore, that’s why your efforts are unprecedented and unique. You see, up until recently, from the point of view of the clerics, non-Muslims were considered unclean whether they are following the Abrahamic or non-Abrahamic religions. Now, the question arises as to whether any man can be unclean? Man is not unclean based on what defines him/her as human being. The clerics must change their minds since there is no rational or religious reason for physical uncleanliness of a man. Regarding the justifications underlying issue of purification, etc., one has to reflect a little. We do not live in the age of Kor water to talk about these kinds of issues, and we need to get a bit more up to date. In addition, we do not have anything by the name of Na’jes (unclean) in Islam. This idea comes from Judaism, and now I do not intend to get into its jurisprudential discussion. Note that the religion of Islam was also considered a false religion from the point of view of Christianity, and there were dozens of reasons and inferences made to allege that the Prophet of Islam was not a true prophet. But did all the early struggles result in anything? The reality is that both Islam and Christianity have their own followers and Christians and Muslims live their own lives. Before 2001, there was no serious problem between Christians and Muslims in America and Europe, and there was generally peace between them. In fact, some people who think and act even more primitively than those in the era of ignorance have created a condition where people from other countries are afraid of people with long beards and different clothes, and they think they carry explosives with them. But in relation to the Baha’is, these sensitivities are not new and have existed for a long time. The reason is that the Bahá’í Faith has emerged from within the Islamic and Shiite thought and there is a slight fear that Mahdism is being challenged. Now, there was a time when the clergies established the Hojjatieh Association to protect the interests of the Shi’a from “the misguided Baha’i sect.” In those times, people followed the Hojjatieh Association, but now it’s no longer like the past. Now, in fact, people know that these clergies do not protect the interests of the Shi’a and are trying to maintain their own power and interests. Those days are over when Mirza Shirazi would give a fatwa regarding not using tobacco and people would destroy their hookahs. Now, when they say don’t eat chicken, nobody cares, or when they say do not receive subsidies, they are being ridiculed. In my opinion, if we have a jurisprudence problem with someone(s), we should discuss it in the scientific communities. There is no problem in discussing issues. Let’s just criticize Baha’is and present our reasons for their so-called falsehood according to clerics. But it’s no longer logical to use stick and club. Stick and clubs and threats can destroy no religion, and, as I have said, they were unable to eliminate Islam and Christianity. For example, they killed so many Jews in Germany and other countries, has Judaism been eliminated? My point for saying all of these is that we can see that these conflicts will not lead to anywhere, and some who think differently, ultimately conclude that the Baha’is, like Christians and followers of any other religion, have their own rights. 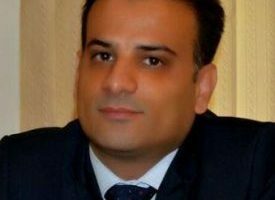 In your opinion, which one of the citizenship rights of Baha’is are being violated at this point? What is clear is that not only Baha’is but also all the religious minorities that we have, such as Christians, Jews, and Dervishes, have no equal rights and are subject to various abuses. They are not even equal in matters of retribution. I don’t agree with the death sentence, but if a Muslim deliberately kills a Christian, he will not pay retribution. However, the opposite of this – if a Christian involuntarily kills a Muslim, would he not pay retribution?
. . . We move towards respecting human civil rights, because in this discussion there is no place for religion whether Christianity or Muslim or otherwise. In your opinion, to what extend can ideas, such as a symbolic work, have an impact on the establishment of a peaceful coexistence and respect for the rights of all human beings, regardless of religion or the like? In any case, this is effective and will not be ineffective. But, the reality is that in Iran, we are not familiar with symbolic acts like in the Western countries and don’t understand its meanings. That’s why there should be a special explanation for any symbolic work and that’s why I wrote that letter. Of course, I have to add that the majority of people are far ahead of us in understanding this way and are implementing it. Thank you for the opportunity you provided us. “The Most Holy Book,” Bahá’u’lláh’s book of laws, written in Arabic around 1873 while He was still imprisoned within the city of ‘Akká. An Islamic term in jurisprudence that refers to water that can be purified by pouring it into a container with three and a half spans in depth, width and height. 1. The Faith of Baha’u’llah is an Abrahamic Faith and it is not correct to state as “fact” that Baha’u’llah is not descended from Abraham. There is clear research on this. 4. Baha’is are denied the right to close shops or suspend work on Bahai HokycDays. It’s a mistake to say that Baha’i is not among the Abrahamic religions . . . Baha’u’llah, Founder of the Baha’i Faith is a direct descendent of Abraham through his third wife, Katura. One can read about it in a book called: Abraham: One God, Three Wives, Five Religions. Author: Frances Worthington. Baha´i is an Abrahamic religion, since Baha´is recognize the revelation of Moses, Jesus Crist and Mohamed as true revelations of God and also the descendence of Abraham describe in holy books of those religions.